Deterrence strategists value the fear and shock effect a state’s nuclear capability to inflict harm induces in the leadership of an adversary. The capability is so envisaged and built as to convey a certainty in case of conflict, with political will demonstrated in peacetime to assure the adversary that the nuclear decision maker would not shy away from genocide and ecocide when the push of conflict comes to nuclear shove. Nuclear strategists have it only half right. The ability to inflict harm cannot be seen independently of the like ability of the adversary to similarly cause harm right back. This brings in self-deterrence, to—at a minimum—question the nuclear strategists’ input to decision making, and—at a maximum—to stay the nuclear hand. Just as avidly nuclear strategists articulate their wares, anti-nuclear practitioners must show-case nuclear dangers to induce self-deterrence in decision makers. A small storm in South Asia’s nuclear teacup last month provides an entry point into using India’s case in an imagined nuclear aftermath as example. Recently, noted nuclear watcher Vipin Narang set the cat among the nuclear pigeons. 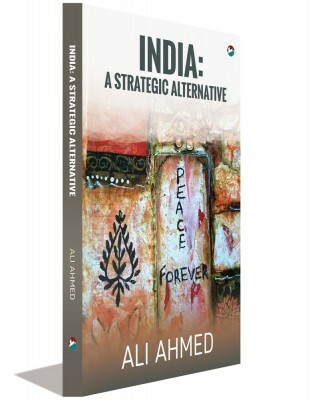 At a Carnegie international nuclear policy conference in Washington DC, he put together the writings of two former officials who dealt with India’s nuclear deterrent, namely the former National Security Adviser Shivshankar Menon and the former head of the Strategic Forces Command Lt Gen Nagal, to posit that India is moving towards a first strike nuclear posture. 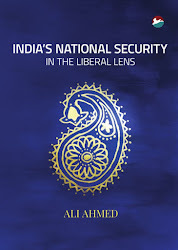 He argues that the writings of the two officials after leaving respective jobs suggest that India plans to take out Pakistan’s nuclear capability in case of tactical nuclear first use by Pakistan or in case India decides not to wait for Pakistan’s nuclear first use prior to its own launch of a disarming, counter force, strike. In the same breath he says that this might as yet be wishful since India does not quite have the capability yet. Jawaharlal Nehru University don, Rajesh Rajagopalan, elaborates that such a strike would require 60 warheads for a first strike, with another 30 up India’s sleeve for follow-on strikes. Both sensibly argue against going down this route, but base their argument on strategic grounds. An argument missed in the discussion—which nuclear strategists in general take care to avoid altogether—is the likely effect of Pakistan’s strike back, even after suffering a first strike equivalent nuclear attack. that has taken out its ability for a coherent response along with its physical capability to strike back. Self-deterrence is a taboo word in nuclear theology. Nuclear strategists are in the business of scaring the adversary. Self-deterrence on the other hand implies buying into nuclear scaremongering and staying one’s nuclear hand. In the case under discussion of India’s contemplation of a nuclear first strike, self-deterrence would imply taking stock of the consequences and prudently shelving the option of first strike. If, as Rajagopalan argues, it would take 60 warheads to attempt a disarming strike, India needs examining the environmental impact over the long term of not only these 60 impacts—even if all are not ground bursts—but of knock-on detonations and scattering of nuclear debris of Pakistani nuclear warheads so struck. Since Pakistan has some 120 warheads, India might wish to take out perhaps two thirds of them to set back its retaliatory capability. At least half of these need being added to the environmental damage calculus, making for an effects estimate of about 100 warheads. Also, when confronted with a disarming strike, Pakistan would make its remaining numbers count. Though under broken-backed conditions and even if decapitated, it might still like to get in a blow or two at India’s political and economic centers of gravity, Delhi and Mumbai respectively. It would try and get in at least a tenth of India’s salvo on these two targets counting on India dissolving into being a ‘geographical expression’, as India was once envisaged in Winston Churchill’s malicious phrase. Environmental costs are easier to imagine. Seldom discussed are the socio-political consequences in the aftermath of first strike and retaliatory strikes. In India’s case, bordering states would be directly affected including that of India’s principal nuclear decision maker, the prime minister, who belongs to Gujarat. Punjab, ruled by an opposition party and abutting Pakistan’s heartland, stands to be most affected with the political and economic power of Sikhs, one of India’s significant minorities, who live in Punjab, directly impacted. Pakistan’s plight would focus the attention of global jihad, embroiling India in a far worse and by far wider imbroglio. Since there are only desert stretches on the other side, Pakistani refugees would likely stream eastward. Prime time view of the Syrian migration towards Europe indicates India’s border fence might wilt. Having heard Narang, Pakistan would surely redouble its attempts at squirrelling away its nukes. Some would be stashed away unobtrusively in areas of what it considers its strategic depth, ungoverned spaces along the Af-Pak border. It would innovate on how to use its smuggling networks to get across a suitcase bomb or two through the border or the Arabian Sea. Nuclear terrorism could make a spectacular advent. Further, how this influx of Pakistani refugees into India will impact India’s social harmony is easy to guess. The manner India’s largest minority—its Muslims—have been put upon by the right wing formations after the victory of the party subscribing to cultural nationalism, the Bharatiya Janata Party, suggests a worsening of inter-community relations. This buffeting of internal security can only heighten centralization. Authoritarian tendencies marked in today’s polity in India will get a fillip, prompting a backlash across India’s periphery. 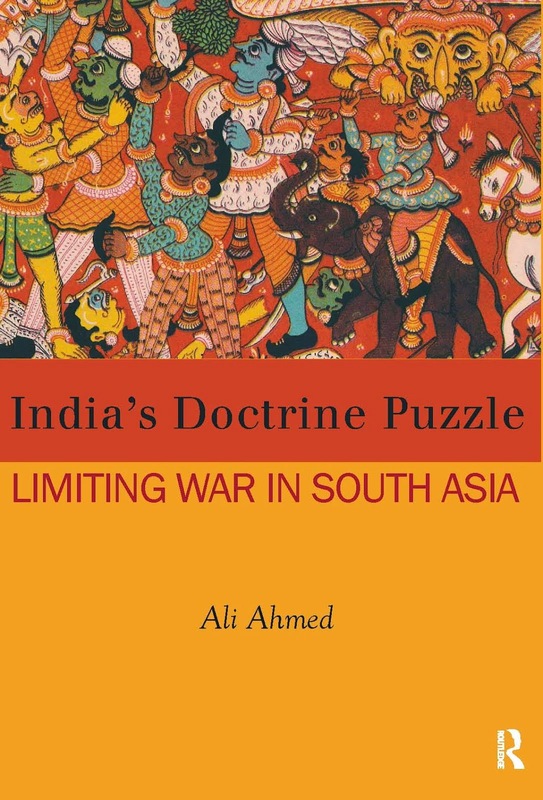 Externally, India’s economic and diplomatic isolation would be near complete, making India ripe for an insular dictatorship at war with itself. Though India might have ‘won’ the nuclear war itself, it would have lost the peace—the only sensible way to define victory in war. Self-deterrence might have more sense to it than all deterrence strategists purvey.